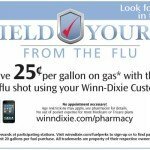 Get your flu shot at Winn-Dixie and save 25c per gallon on gas with Fuelperks at participating locations. Not all Winn Dixie store participate in Fuelperks. Read more about Fuelperks here. Rollback on gasoline from Walmart! I’m getting $10 in free gas from CVS this week! 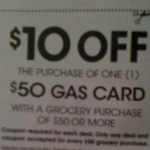 CVS’ NEW Gas Card offer! 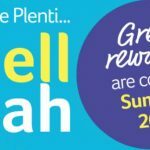 Earn FREE Gas at CVS this summer! 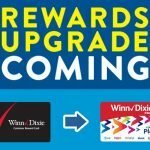 Winn-Dixie fuelperks! now includes Baby Club items! 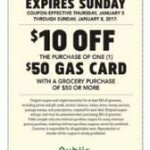 GAS COUPONS?? Murphy’s USA $2/$10!